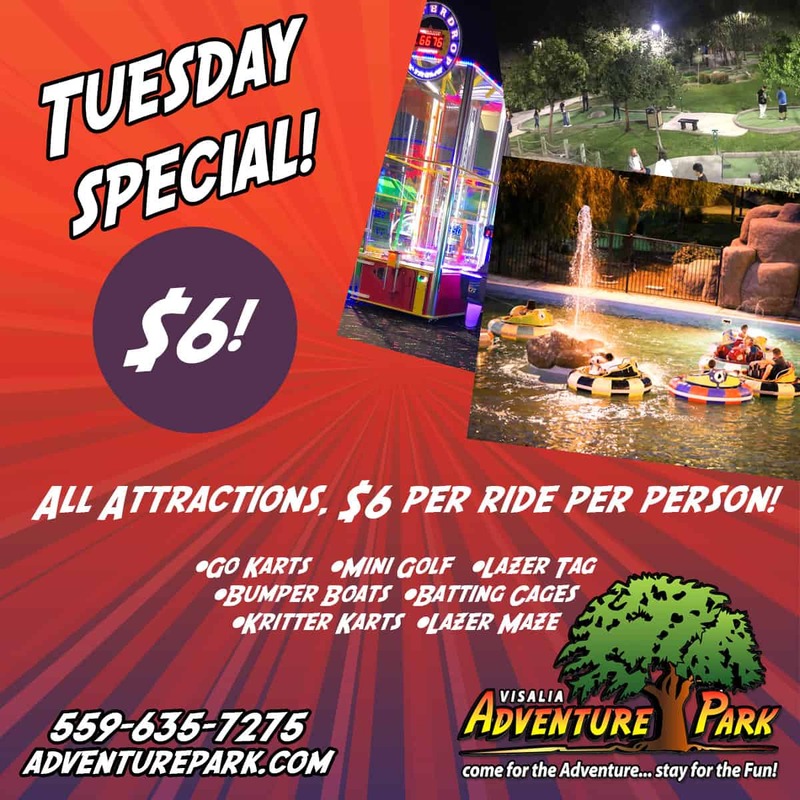 At Adventure Park, we work hard to keep our family attractions in Visalia affordable for everyone. In these crazy times, it’s not easy to take the family out when on a budget. 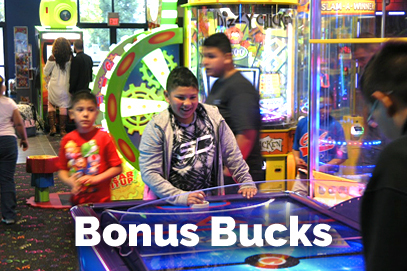 As part of our commitment to making family entertainment easy-on-the-budget, we offer daily Visalia amusement park deals and weekly specials at reduced prices. 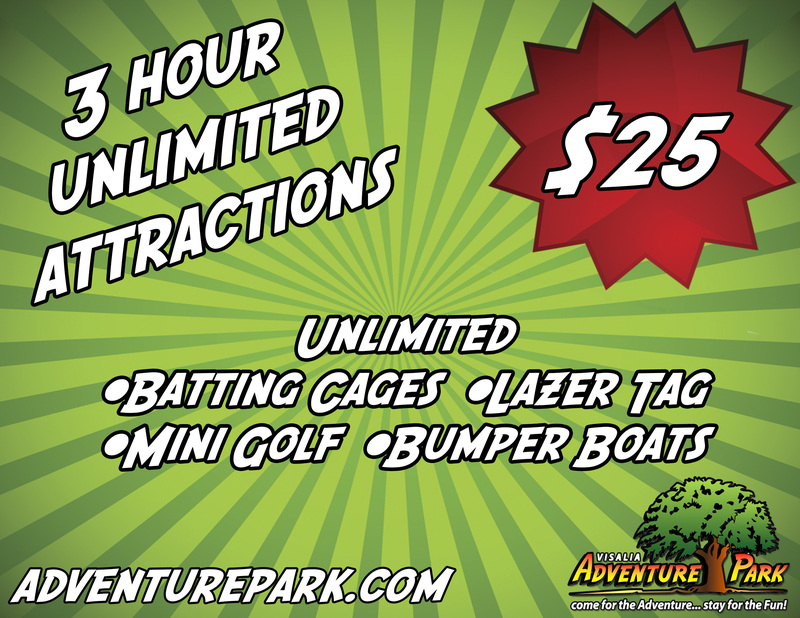 Check out our Adventure Park coupons here! All Non-Arcade Attractions — $6 Each attraction, per ride. Bonus Bucks Any Day - Spend more, Earn more! 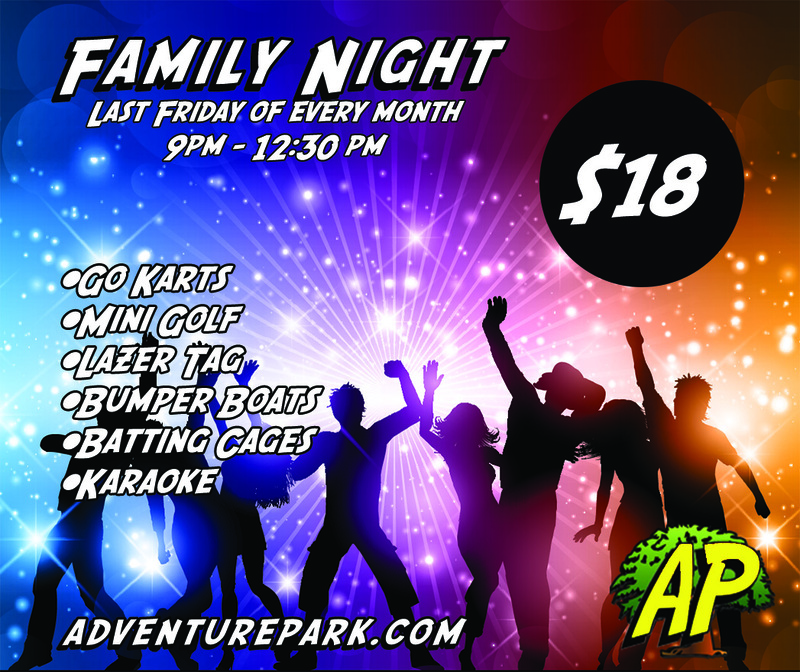 The Last Friday of Every Month | 9:00 p.m. – 12:30 a.m.
Purchase your Family Fun Night wristbands for only $18 each. 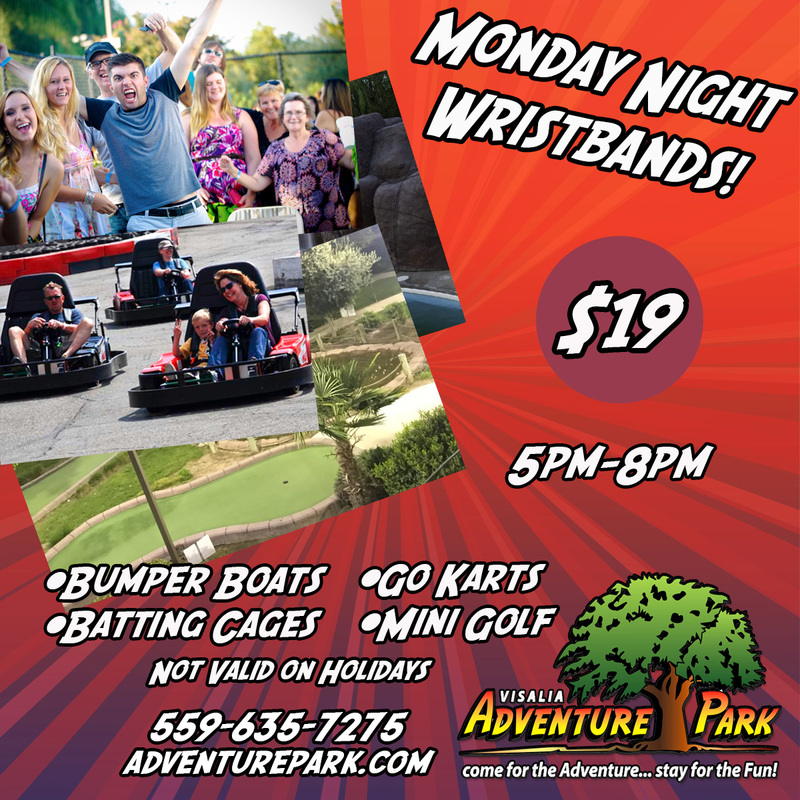 Wristbands give you unlimited access to Go Karts, Bumper Boats, Mini Golf, Batting Cages, and Laser Tag. Plus, you can sing Karaoke as often as you can get a turn at the microphone. 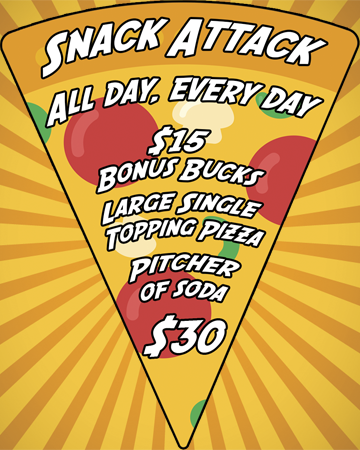 For additional fun, load a player card to play the Arcade games and visit our snack and drink bar. Kritter Karts will be closed for this event. This is a great deal. Normal all-day wristbands are $40 and don’t include Batting Cages. So come on out! Family Night is not a lock in or private party. Guests are more than welcome to stay until closing and purchase all our Visalia family attractions and amenities offered during this event. 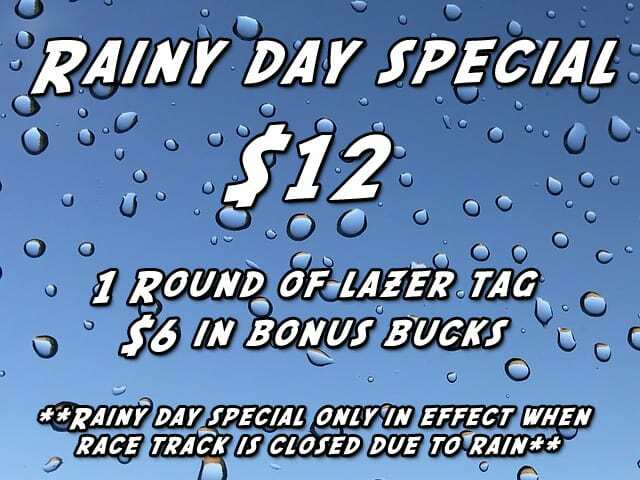 One round of Lazer Tag and $6 in Bonus Bucks for only $12! 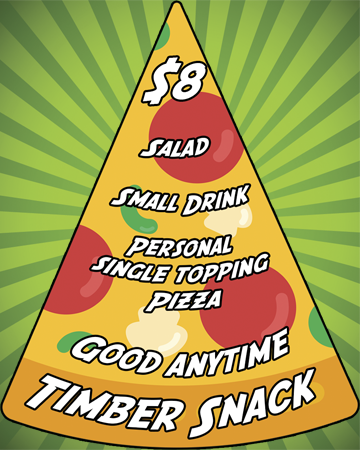 Get a Large Single Topping Pizza, Pitcher of Soda, and $15 in Bonus Bucks! Half the price goes right back to you for fun in the Arcade!! 8" Personal Pizza, Small Drink, and a Salad all for $8. We encourage our guest to keep an eye out for regular updates and adjustments made to our weekly and seasonal specials for all current Visalia amusement park deals available! 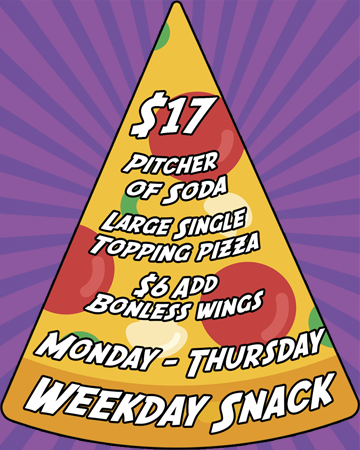 Get a Large Single Topping Pizza, Pitcher of Soda all for $17!